It's not stalking if you have a licence: Time to say our last goodbyes! 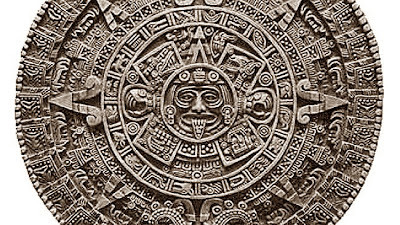 Not actual Mayan Calendar according to Gwynndiana Jones, below. Well, Dear Reader, I'd almost forgotten that the Apocalypse is nearly upon us and that time has run out for us all. While I haven't accomplished anything all I had set out to do in life, nevertheless, it has still been quite a ride. Now, in our last hours of existence, I intend to make the most of what life remains by obtaining as much credit as possible and spending it recklessly on fast cars, faster women, and tons of cocaine. With the ancient prophecy of the Mayans as my guide, what's the harm in disappointing the odd Colombian cartel, or two? I mean, we're all about to die anyway, right? So with that in mind I urge you all, Dear Readers, to live like there is no tomorrow* and leave no desire for frivolous gratification unfulfilled. 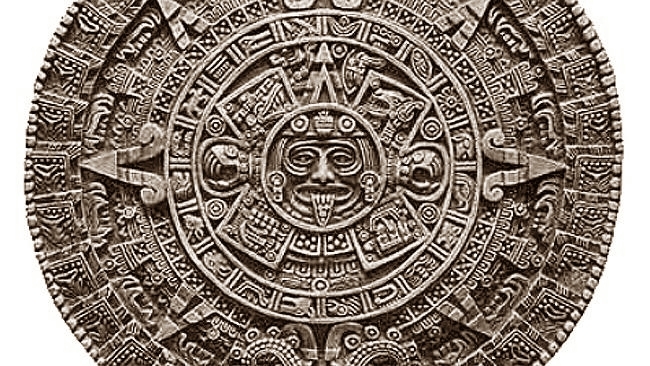 Bad time to point out the the "Mayan" calendar image is actually an Aztec...? Yes, at the end of the world there is always going to be someone being pedantic. But you'll thank us when we ask "Are you sure you sealed the nuclear bunker completely?" Gwynn, as the last few grains of sand trickle through the hourglass of existence, I'm sure there are far more important things you could be attending to that pointing out the geographical provenance of the calendar image. All are as one in the face of the oncoming Apocalypse.